Kitchen/living room with open fire place and wood fired stove. 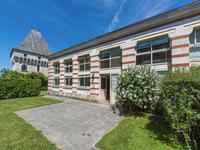 Currently two ground floor . 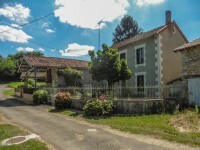 . .
4 house gîte complex with pool, land & equestrian facilities in your own private hamlet on the Charente/Dordogne border. 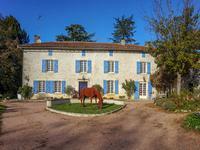 Located in the middle of 55 acres of pasture and woodland, this ancient hamlet has been . . . 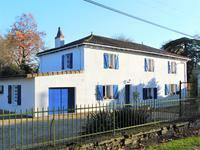 Located in the middle of 12 acres of pasture and woodland, this ancient hamlet has been . . . 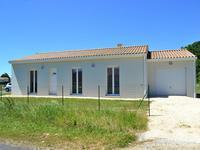 Single storey house, with garage and garden, quietly located in the town of CHAZELLES, with all its amenities. Just park your suitcases in this pleasant bungalow offering : living room / kitchen, three . 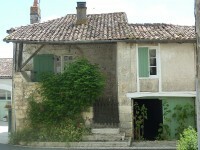 . .
Charming new-built house , with garage and garden, quietly located in the town of CHAZELLES, with all its amenities. Just put your suitcases in this pleasant bungalow offering: living room / kitchen, three . . . 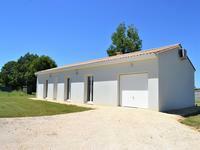 Brand new house with garage and garden, quietly located in the town of CHAZELLES, with all its amenities.